Yes, Climax Blues Band will be playing at the Blues on the Farm three day festival at Woolton Farm, Bekesbourne, Canterbury, Kent that takes place June 15 -17th 2018. Other bands include King King, Dr Feelgood, Nine Below Zero, Martin Barre’s Blues Band and many more. We hope that you will come out and see us on Sunday, June 17th! It’s been a long road….. one thing for sure is that the Climax Blues Band of today carries the same standard of quality as it did when the band formed back in the late 60s and achieved such great success and recognition through the 70s and 80s, huge selling albums like FM / Live and Gold Plated, the 1976 hit single Couldn’t Get It Right (from Gold Plated) and I Love You in 1981, the reputation carrying right through until the tragic death of founder member Colin Cooper in 2008. Colin’s death could have meant the end of Climax Blues Band but his desire was for the band to continue creating the fine blues blend that the band has been associated with since its formation, and that desire has been accepted with relish by the remaining members of the band. George Glover has been at the keyboards in Climax since 1981, very much part of the nucleus of the band, Lester Hunt on guitar joined in 1986, drummer Roy Adams in 1987 and Neil Simpson on bass in the early 90s. This solid unit has flown the Climax flag with tremendous passion and style. Now there is a spring in their step, taking the band forward and already pleasing crowds throughout Europe, the ‘seamless’ transition in carrying on creating the unique Climax sound is the result of hard work, disguised by a band having a great time making music…. Graham Dee was recruited in 2012 to front the band. With his own distinctive style and a pedigree on the blues scene which included performing with The Blues Collective, The Red Lemons and joining ex-Feelgoods in The Lone Sharks as well as session vocals and voice coaching, at the same time Chris ‘Beebe’ Aldridge took on the saxophone duties with a fresh and exciting dynamic sound, both adding their own dimensions to the musicians that have carried the flag for Climax as a unit for over 15 years, in Les’s case over 25 years, and George for over 30 years. Security Alert – The Official Live Bootleg was recorded live at Leek Arts Festival and released in 2015 on ATA. Perfectly capturing the band’s new energy, this live album is a brilliant showcase for the band’s new members Graham Dee and ‘Beebe’ Aldridge and reassuring fans everywhere that the true Climax sound is very much intact and moving forwards. The album was mixed by Roy Wood (Wizzard, ELO, solo). 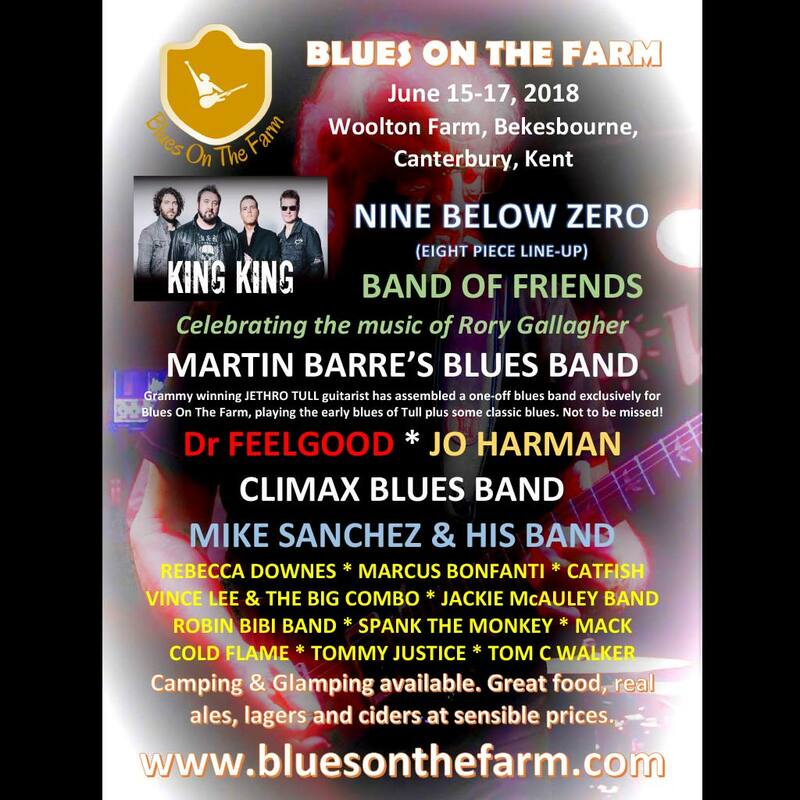 Now you have a chance to hear some of the exciting new material off the Climax Blues Band new album scheduled for release later this year at the Blues on Farm Festival!